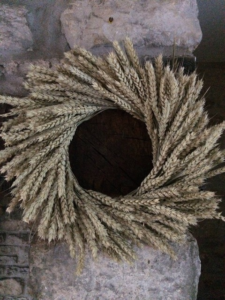 Making the most of what’s in season, Catherine Nix from @Myscentedhomeonline will be in the Demo Tipi on the Upper Lawn at Toby’s Garden Festival with lots of tips and advice on how to make your own wheat and lavender wreaths. She’ll have all the essential ingredients to hand and after one session is confident that you’ll be a wreath making pro! Wonderfully scented and a beautiful keepsake, they also make the perfect present and Catherine will be selling kits for you to take away and make at home. Talks are free, no need to book – first come, first served basis.